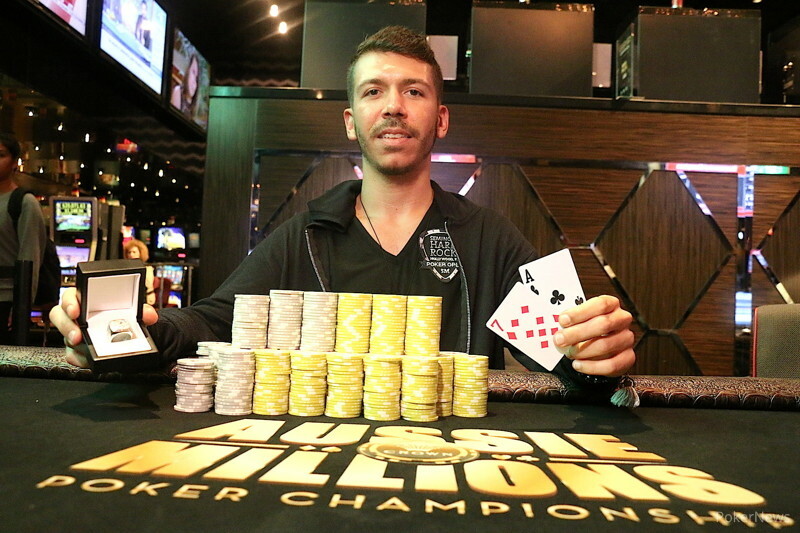 American Darryll Fish rose from short stack to champion, winning the 2016 Aussie Millions Event #17: $1,150 Aussie Millions Tournament of Champions inside the Crown Poker Room on Friday evening. Fish earned $49,695 for the win along with a coveted LK Boutique Aussie Millions championship ring. In just the second hand of play at the final table, Calvin Tan Seet Pin got his aces cracked to leave him short and he was out tenth soon after. Chad Awerbuch hit the exit ninth before Eric Theissen ran two dominated hands into Szymon Sobanda and busted eighth. Rotus Haoran Zhang was the next to go, doubling up David Leas before running into Raiden Kan's queens. 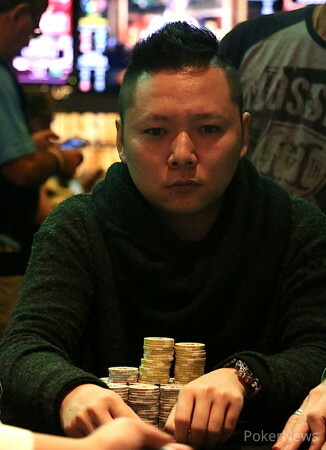 Then Takashi Ogura ran the into Szymon Sobanda queens and failed to improve, busting out sixth. Fish was the short stack at that point, but quickly doubled twice to turn that around. 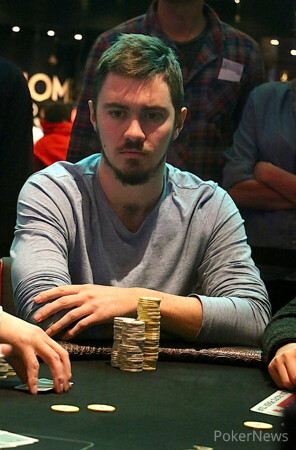 Soon after, he turned a straight against David Leas trip jacks and sent him to the rail fifth. 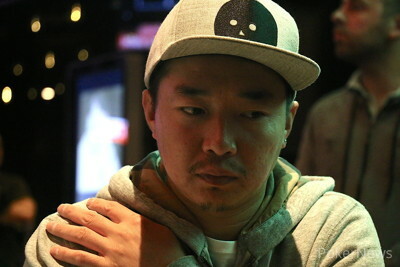 Fish took the lead and put his foot on the gas after that, and while it was White that busted start-of-day chip leader Kan, Fish took a ton of his chips before he was sent home fourth. Sobanda doubled through White, but then ran a dominated ace into the Fish juggernaut to go broke right after, sending Fish into heads-up play with White, holding a big lead. It turned out to be an insurmountable one, when White turned two pair and got it in after just a few hands heads-up. Fish had aces up, it held and coming off a career year that saw him earn $753,967, he now begins 2016 with his first Aussie Millions title. Darryll Fish made it 50,000 from the button and Kyle White defended the big blind. White checked the flop and Fish continued for 40,000. White called and the turn came the . White checked again and Fish led for 78,000. White check-raised all in for less than 300,000 and Fish called immediately with the . White was on the for two pair, but Fish's aces-up were good and held on the river. Szymon Sobanda shoved short and Kyle White looked at the and called. His other card was the and Sobanda was on the . He doubled through on the board. But the very next hand, he got it in again with the and Darryll Fish woke up with the in the big blind and made the call. Sobanda exited third after a board paired Fish and not him. Fish Now takes a massive lead into heads-up play. Raiden Kan open shoved for a little under 200,000 and Kyle White made the call having him covered with the . Kan was on the and was open-ended after the flop. The turn and river were no good to him, though, and Kan said goodbye fourth. Darryll Fish defended his big blind against a Szymon Sobanda open to 41,000. They both checked the flop, but Fish led for 43,000 on the turn. Finally, on the river, Fish led for 116,000. Sobanda tanked for two minutes before folding. Darryll Fish has moved into the chip lead after a big hand headed into the break. 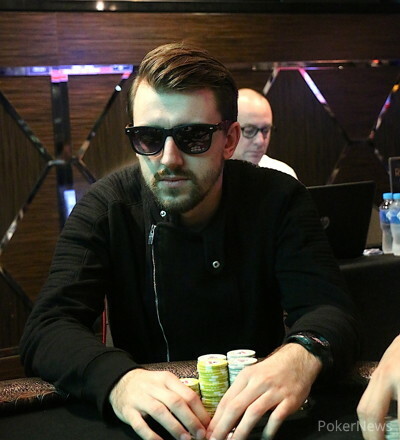 Raiden Kan made it 35,000 on the button and Fish and Szymon Sobanda called in the blinds. They both checked the flop, but when Kan continued for 55,000, only Fish called. Fish check-called another 110,000 on the turn. The river was the and after Fish checked, Kan counted out 140,000. Eventually, Kan checked and mucked when Fish turned over the having flopped a set. The players then headed off on a 15-minute break. Updated counts can be found below. Darryll Fish made it 35,000 and David Leas called. They both checked the flop, but when the came on the turn and Leas bet 40,000, Fish jammed it in. Leas called off his tournament life with the , but trips were behind Fish's straight. The river was a brick and Leas left fifth. 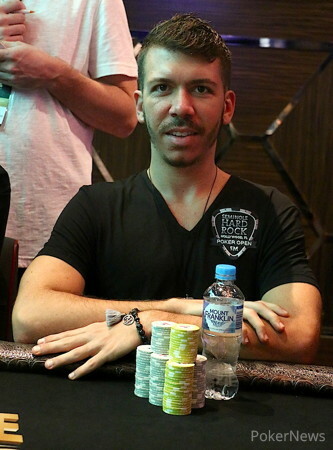 The Aussie Millions Tournament of Champions Final Table Is Set!